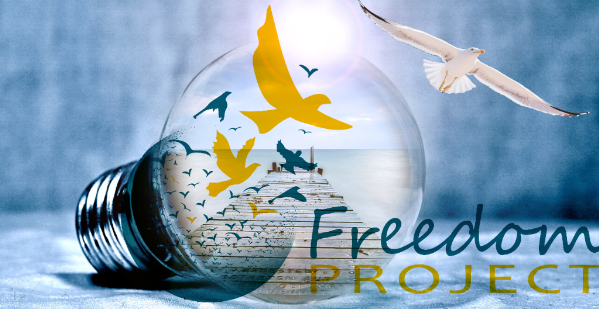 Freedom Project announces the next installment in its quarterly professional development series for prison volunteers on Friday, June 6 with an intensive workshop, facilitated by Kathleen Macferran. Click here to view Kathleen’s recent talk at TEDxMonroeCorrectionalComplex. This workshop is designed for anyone interested in learning the fundamentals of Nonviolent Communication, as shared by Freedom Project in prisons. learn how a Freedom Project facilitator shares Nonviolent Communication (NVC) in the prison classroom. experience how Kathleen Macferran uses visual aids to introduce NVC concepts, elicits people’s participation and responds to challenging questions. Each workshop reflects the unique perspectives of its participants. If you have been curious about NVC or even dreamed about sharing NVC with others, we encourage you to join us on Friday, June 6. We expect all Freedom Project volunteers to attend this training either as an introduction to the essentials of NVC or as a refresher. Sharing NVC Essentials will be offered again later in the year. This program will be held 9 am-5 pm on Friday, June 6 at Freedom Project’s Seattle offices. There is a $125 workshop participation fee. The program is $25 for Freedom Project volunteers with current DOC badges. Scholarships are available. Space in this program is limited, so confirm your reservation as soon as possible. To register (or for further information) about these programs, send an email to SeattleFreedomProject@gmail.com with your name and phone number. You can also call 206-325-5678 and leave a voicemail message or talk directly to registrar Tim Conbere weekdays between 8:30 and 11 am.